Medical Advisory Board - Admera Health, LLC. 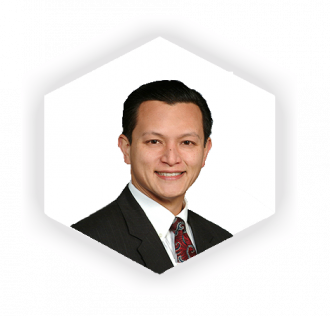 Dr. Joachim Benitez is on staff at the New York-Presbyterian University Hospital of Columbia and Cornell where he holds dual appointment as an Assistant Clinical Professor Weill-Cornell, and an Adjunct Clinical Professor at Columbia University. As part of the attending teaching staff, he is charged with the education of residents and medical students, and the formation and training of future thought leaders in the field. He is also involved in research and writing, and his academic pursuits have followed him since his training years at the Mayo Clinic where he became involved early on in pharmacogenomics and their unique clinical applications under the mentorship of Dr. David Mrazek, former Chair of Psychiatry at the Mayo Clinic, and one of the fathers of Psychiatric Pharmacogenomics. Dr. Benitez has over a decade of experience using pharmacogenomic tests to provide patients with individualized and personalized medicine, delivering care using the guiding principle of giving each and every patient the right drug, at the right dose, at the right time. He received his medical degree from St. Luke’s College of Medicine, completed his residency in Psychiatry at the Mayo Clinic, and worked at the Mayo Clinic Health System – Austin, where he served as Department Chair of Psychiatry. He currently works at the prestigious Payne Whitney Partial Hospital Program, and at Columbia University Medical Center CPEP, as an educator, a researcher, and a clinician who provides compassionate, expert, and state-of-the-art care to patients who have struggled with the most complicated and the most treatment-resistant psychiatric conditions. Dr. Howard McLeod is the Medical Director of the DeBartolo Family Personalized Medicine Institute at the Moffitt Cancer Center. He is chair of the Department of Individualized Cancer Management and a State of Florida Endowed Chair in Cancer Research. He is also a senior member of the Division of Population Sciences and professor at the University of South Florida. Dr. McLeod is chair of the National Human Genome Research Institute (NHGRI), the chair of eMERGE Network’s External Scientific Panel, and a recent member of the FDA committee on Clinical Pharmacology and the NIH Human Genome Advisory Council. Since 2002, Dr. McLeod has been Vice Chair for Pharmacogenomics for the major NCI clinical trials group, overseeing the largest oncology pharmacogenomics portfolio in the world. Dr. McLeod is also a 1000 talent scholar of China and a Professor at Central South University in Changsha, China. Howard has publishedover 500 peer reviewed papers on pharmacogenomics, applied therapeutics, and clinical pharmacology and continues to work to advance individualized medicine. Dr. Benjamin Levy is a thoracic medical oncologist and Clinical Director of Medical Oncology for the Johns Hopkins Sidney Kimmel Cancer Center at Sibley Memorial Hospital, as well as an assistant professor of oncology at Johns Hopkins University School of Medicine. Dr. Levy is board certified in medical oncology and hematology by the American Board of Internal Medicine. Dr. Levy is a physician scientist who is interested in innovative immunotherapeutic approaches for advanced stage lung cancer patients, liquid biopsy cancer diagnostics, and biomarkers that help identify patients more likely to respond to immunotherapy. 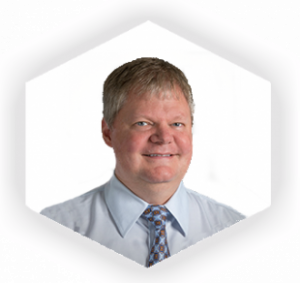 He has expertise in thoracic malignancies, including non-small cell lung cancer, small cell lung cancer and thymic malignancies, as well as head and neck cancer. Dr. Benjamin Levy is the former Medical Director of Thoracic Medical Oncology for Mount Sinai Health Systems and the Associate Medical Director of the Cancer Clinical Trials Office (CCTO) for Mount Sinai Hospital. He has developed a robust clinical research portfolio that evaluates novel therapies including immunotherapy and liquid biopsy for lung cancer patients and is actively searching for genetic alterations that may predict sensitivity to such drugs. In addition to his clinical and research duties, Dr. Levy serves as Associate Editor for the ASCO University Committee where he helps develop educational web based content for oncologists across the country. He currently serves on the editorial board for the Journal of Clinical Oncology (JCO) and serves as an ad hoc reviewer for other journals including Clinical Lung Cancer and The Oncologist. Dr. Levy actively publishes in peer review journals including Journal of the National Comprehensive Cancer Network (JNCCN), Journal of Oncology Practice (JOP), and the Journal of Thoracic Oncology (JTO). He received his MD from Medical College of Georgia, completed residency in Internal Medicine at Georgetown University Hospital and his Fellowship in Hematology and Oncology at New York Presbyterian – Weill Cornell Medical Center. Dr. Daniel Jacoby directs the Center for Advanced Heart Failure, and is the founder and Director of the Cardiomyopathy Program at Yale. He specializes in treatment of heart failure and inherited heart muscle disease (cardiomyopathy). Dr. Jacoby’s clinical and research programs are dedicated to serving the needs of patients, and families, living with the diagnosis of cardiomyopathy. Expert diagnosis and treatment of hypertrophic, dilated, arrhythmogenic and restrictive cardiomyopathies, as well as evaluation for causes of sudden cardiac death, are available through the Cardiomyopathy Program. Dr. Jacoby engages clinical evaluation, genetic analysis, novel treatments, clinical trials, and translational research to optimize care for his patients. Over the years he has developed considerable expertise in genotype-phenotype correlation. Genotype-phenotype correlation describes the relationship between the disease experienced by the patient, and the gene abnormality causing the disease. This relationship is often complex since the same gene expresses itself uniquely in each patient due to the influence of other genes and environmental factors. Interpreting gene test results, and incorporating that information into specialized clinical care for unique cardiac conditions is a core mission for Dr. Jacoby’s programs. Dr. Jacoby also runs the heart transplant, mechanical circulatory support, and general heart failure programs for the Yale School of Medicine and Yale New Haven Hospital. Treating patients with end-stage heart failure, and improving systems management for patients living with heart failure in the general population are the core missions of this program. Ongoing initiatives include adoption of novel cutting edge technology, measuring and improving quality of life for patients, improving appropriate access to palliative care services, and educating providers throughout the Yale New Haven Health System on best practices. Dr. Jacoby received his MD at the Yale School of Medicine, was a Fellow at Columbia Presbyterian Hospital, completed his residency at Mount Sinai Hospital and holds Board Certifications by the American Board of Internal Medicine, Cardiovascular Disease, the National Board of Echocardiography, Adult Echocardiography and the Board of Nuclear Cardiology.